Roth IRAs are one of the best wealth-building vehicles ever created, but I make too much money to be eligible to open one. Darn! What’s so special about them? A Roth IRA is an individual retirement account similar to traditional IRAs in that it offers tax-free growth. But there is no tax whatsoever on withdrawals after you reach age 59 1/2. That’s right — ZERO federal taxes on your gains. The only caveat is that you do not get to deduct your Roth IRA contribution like you do with traditional IRAs. 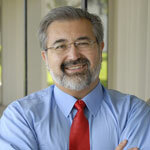 Roth IRA contributions are made with after-tax money. The result is that a Roth IRA will generate a 100% tax-free retirement income. That’s right — even if you accumulate millions of dollars, you won’t pay a penny of income tax on your Roth IRA dollars. One of my dearest friends, a medical research doctor, has invested $100,000 of his Roth IRA in shares of a young biotechnology company that he thinks has a great shot at developing a cure for cancer. He thinks its shares will go up 100-fold … or more. If he's right, this would turn his $100,000 into $10 million or more. All tax-free! That’s the power of Roth IRAs! A 30-year old today who contributes $5,500 a year until age 65 — assuming a 10% annual return — will accumulate approximately $250,000 more with a Roth IRA than a traditional IRA, even after including the tax savings. • If you withdraw $100,000 from your Roth IRA … you pocket $100,000 because there are no taxes. • If you withdraw $100,000 from your traditional IRA … you’ll only pocket $70,000 (assuming a 30% tax bracket). And you have to ask yourself, do you trust the numbskulls in Congress not to raise taxes in the future? With our runaway spending and our $21 trillion national debt, I think there is no question that tax rates will be going substantially higher. That makes Roth IRAs even more attractive. No Required Minimum Distribution: With traditional IRAs as well as 401(k)s, you must start to withdraw some of your dollars — and pay income tax — whether you need the money or not. There is no RMD with Roth IRAs. Plus, you can leave the money to compound without taxes for the rest of your life. No age limit: I am 62 years old and I plan on working for many more years. However, the cutoff to fund traditional IRAs is 70 1/2. But there is no age limit for Roth IRAs as long as you have earned income. Tax-free to beneficiaries: With traditional IRAs, somebody — either you or your heirs — will pay income tax on every dollar in it. 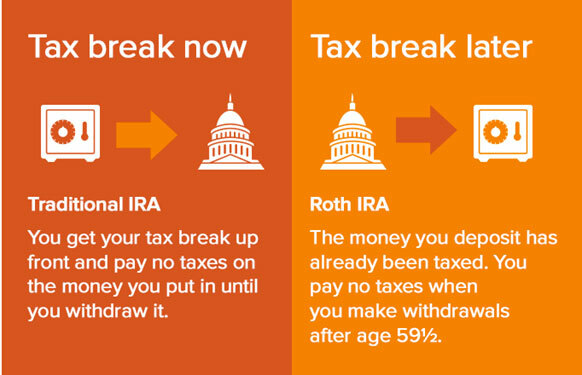 With Roth IRAs, every penny goes to your heirs without a penny of income taxes. I like that! In fact, Roth IRAs are so good that there are limits to how much you can contribute each year. Currently, the maximum you can contribute to a Roth IRA is $5,500 if you are under 50 years of age. That increases to $6,500 if you are over 50. Moreover, there are limits on how much money you can make. In 2018, for single filers, eligibility starts to phase out at $120,000. It disappears above $135,000 of annual income. For married filing jointly, the phase-out range is $189,000 to $199,000. Therein lies the problem for anybody fortunate enough to make a six-figure income. Many of the successful investors I talk to would love to contribute but think they can’t because they make too much. There is a sneaky backdoor way to open a Roth IRA, no matter how much money you make. What you do is contribute to a traditional IRA and then convert it to a Roth. 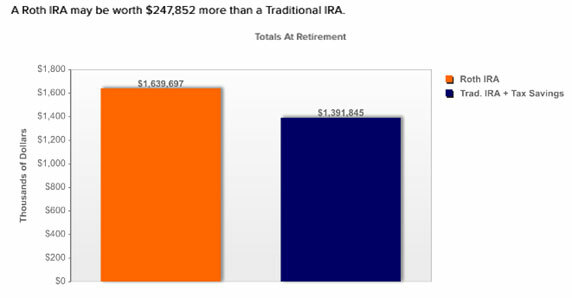 You'd need to pay taxes on both (a) the contribution and (b) any growth on the dollars in the traditional IRA. But if you make the conversion shortly thereafter, you'll probably have no gains or very few gains. Currently, anyone can convert a traditional IRA to a Roth IRA regardless of how much they make — and they can roll as much money as they want from an existing traditional IRA into a Roth IRA. There are several ways you can shoot yourself in the foot if the conversion is not done correctly, though. So please talk to your tax adviser before making any moves. The benefits, however, of Roth IRAs are so compelling that you should jump through whatever hoops are necessary to fund the greatest wealth-building tool ever created.